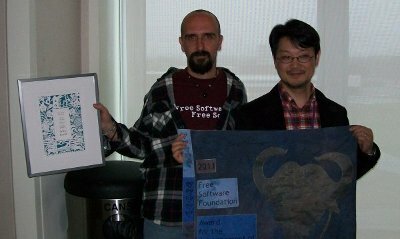 Award for the Advancement of Free Software:Yukihiro Matsumoto, creator of the Ruby Programming Language. Congratulations Matz ! 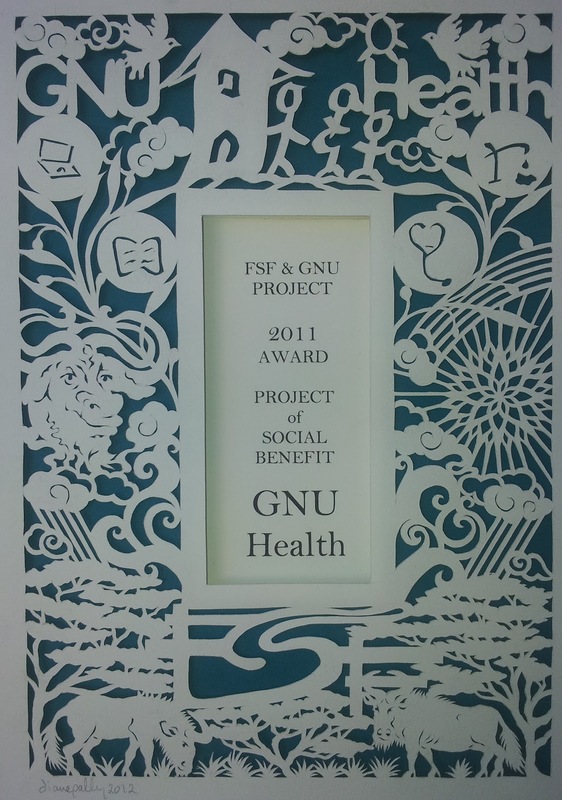 I want to thank the committee for choosing GNU Health : Suresh Ramasubramanian, Peter H. Salus, Wietse Venema, Raj Mathur, Hong Feng, Andrew Tridgell, Jonas Oberg, Vernor Vinge, Richard Stallman, Fernanda G. Weiden, Harald Welte, and Rob Savoyes. We take this award with great pride, but also with great responsibility. We share this award with novel previous winners Wikipedia, Creative Commons, Internet Archives, Groklaw, Tor and Sahana Disaster Management System . I want to thank the Free Software Foundation and his creator, Richard Stallman, for creating the environment for social justice and equity. 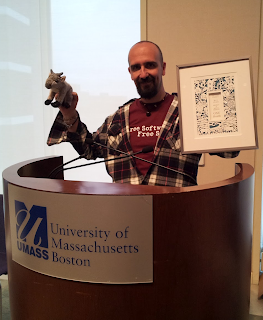 Thank you to the Free Software community : Python, Postgresql, Tryton, GNU/Linux, GnuPG and Wikimedia foundation are just some of the building blocks for GNU Health. 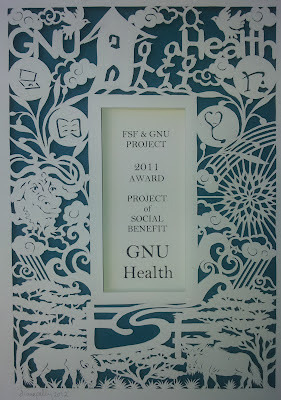 Without a free software community, GNU Health wouldn't exist.